Too often the fellas reap all the accolades in the biopic film genre. From Milk to Ali, Ray and Raging Bull, actors have been gaining much deserved attention for their masterful true-to-life performances. But as we honor Women's History Month, we take a look at some of the fine work of actresses who illuminated the true stories of real women in time. 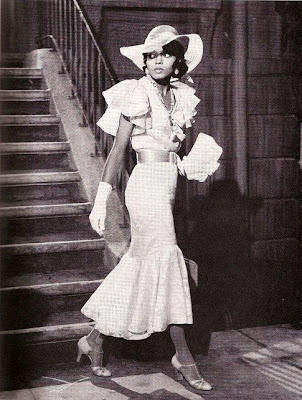 Halle Berry as "Queen" in ALEX HALEY'S QUEEN (1993): Though Oscar winner Halle Berry is often remembered for her spot-on portrayal of screen legend Dorothy Dandridge, few remember her harrowing portrait as the daughter of a plantation owner's son and their slave Easter in Alex Haley's heartbreaking story tracing the legacy of his paternal grandmother. Berry's performance is heart-wrenching and inspiring as she carries this six-hour miniseries, revealing not only Queen's struggles but also her unyielding strength to maneuver through a life burdened with pain and sorrow during post-Civil War America. Diana Ross as "Billie Holiday" in LADY SINGS THE BLUES (1972): Who knew pop legend Diana Ross also moonlit as an Academy award-nominated actress? In her first film role, Ross moved audiences with her riveting performance as fellow singing legend Billie Holiday. Bringing to life the remarkable true story of Holiday, who went from a stunning voice in music to a shell of a person whose unfortunate drug abuse hampered even her own ability to see her self-worth, Ross effortlessly reignited our love for jazz and illuminated the life of the late great Lady Day. 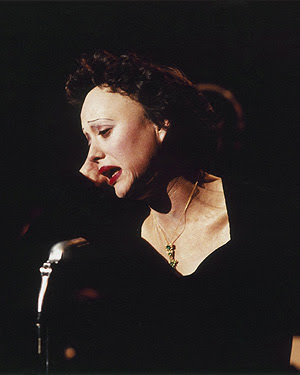 Marion Cotillard as "Edith Piaf" in LA VIE EN ROSE (2007): Oscar winner Marion Cotillard was barely recognizable in her completely immersed performance of the iconic French singer Edith Piaf. Taking audiences from the songbird's humble upbringings to her rise to fame and a personal life filled with tragedy, Cotillard brilliantly and sensitively walked a fine line of presenting Piaf as both both a sinner and a saint while still doing her justice. 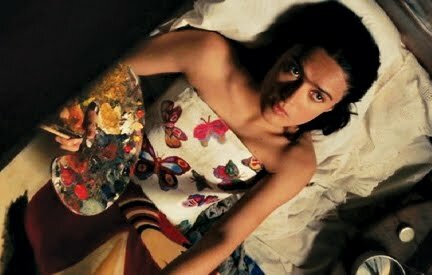 Salma Hayek as "Frida Kahlo" in FRIDA (2002): With a life ruled with strength, sensitivity and unbelievable talent, the story of Mexican artist Frida Kahlo was a screenplay begging to happen. So when the once B-rated actress Salma Hayek stepped up to the plate and into the shoes of the legendary painter, the rest of the world finally got to see it come to life. From her controversial political beliefs to unfortunate health problems and her unparalleled talent that rivaled even the best male artists of her time (including her husband muralist Diego Rivera), Hayek's portrayal was raw, unyielding, and beautiful all at the same time. Sissy Spacek as "Loretta Lynn" in COAL MINER'S DAUGHTER (1980): After scaring audiences with her terrifying portrayal as one of Stephen King's devilish heroines in Carrie, Oscar winner Sissy Spacek went on to tackle the trailblazing life and career of country music star Loretta Lynn. As a fellow southern starlet Spacek slipped into the role and it fit her like an old glove. 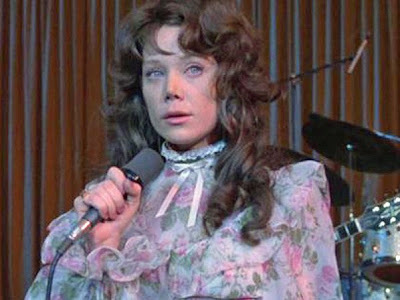 Highlighting Lynn's groundbreaking career and extraordinary personal life that's perfectly illuminated by her trademark tunes, Spacek delivers a powerful yet vulnerable performance wrapped into one. 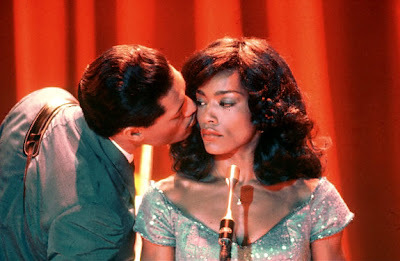 Angela Bassett as "Tina Turner" in WHAT'S LOVE GOT TO DO WITH IT? (1993): Arguably one of Oscar's most historical upsets, nominee Angela Bassett fiercely took on the role of pop icon Tina Turner with such a rigor that people are still talking about it seventeen years later. Bassett took a role that could have easily become the portrayal of a damsel in distress, and easily turned it into one filled with such power that Turner herself collected a new crop of younger fans who saw her as not only a dynamic artist but an inspiration. Completely embarassed to admit I haven't seen any of these films! FRIDA has been in my NF queue forever. I need to watch it. ALEX HALEY'S QUEEN also sounds really interesting. I'm embarrassed as well for I haven't seen any of these either. I should though for I do enjoy seeing a powerful female performance. okay @Sammy V and @Jack L it is shameful you haven't seen these! (LOL). They are such amazing performances, and beautiful tributes to the real people. That's a solid list. Which reminds me, I'd like to own that Halle Berry mini-series. Is it available for purchase? @karen i think it is available, but i think only on VHS. I only saw La Vie En Rose, which is great! That's the one from not numerous French films I managed to see. Now I'm really interested in that movie with Halle Berry you mentioned. Never heard of it, but now it's on my list. @Lesya Khyzhnyak report back if you do see Queen! I'd recommend all fo these. very great performances. Great List i have managed to see quite a few of these films...but not all the Tina Turner one sounds really interesting i will definitely be checking that out.